Celebrating the centenary of votes for women, Spectra Ensemble puts on a rare performance of Ethel Smyth’s jokey opera from 1914, The Boatswain’s Mate, which opens with an overture based on her suffragette anthem The March of the Women. The plot, which sees a plucky woman outwit a tiresome suitor, was performed with gusto by a small cast in a rudimentary staging that represented Margate in 1953 – a “mid-century moment that anticipates the second wave of feminism”, according to the director’s note. This chamber performance with piano, violin and cello gave a glimpse of the tuneful folksiness and the composer’s facility for Brahmsian string writing, but as a theatrical event it was rather thin. Two small tables and a movable window represent the Beehive Pub, whose widowed landlady, Mrs Waters, was being pursued by an amorous seaman, Harry Benn, delivered with much bluster and vocal power by tenor John Upperton. Harry enlists a young soldier, Ned Travers, to burgle Mrs Waters so he can rescue her and claim her hand, but it all goes wrong and Mrs Waters falls instead for young Ned – handsomely sung by Shaun Aquilina. 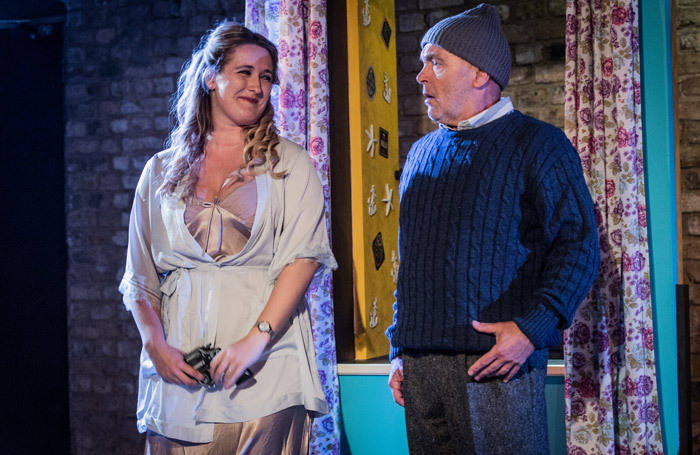 Hilary Cronin, as Mrs Waters, was more Chelsea wine bar than rural pub landlady – an alluring blonde with a pure soprano, she wasn’t quite the fruity, operatic type that the role demanded. Several times during the evening I thought wistfully of Britten’s pub landlady, Auntie, in Peter Grimes, a darker and more interesting take on village life. Ethel Smyth is certainly an underrated composer, particularly for her chamber music, but on the evidence of this modest production, The Boatswain’s Mate is no neglected masterpiece.